Testing the functionality of the web app to verify it does what it was meant to do. We would like to test the application as the User would interact with it. Often referred to as "Selenium Web Driver"
The server is a Java Jar file, so it is cross platform by nature. Most Web Drivers are third party and are developed by the browser manufacturers. Download to the same location as the Selenium server Jar file. Goes without saying, only works on Windows! Controls that are off the screen are not clickable when testing at smaller screen resolutions. You have to automate a scroll to the element so that it is visible then click on it. You can include multiple web driver directives and switch between them programmatically within each test. Web driver directives are passed into Java as command line options, not into the server Jar. Take note they are before the Jar. Create aliases or start scripts for repeated use and for the non-technical. API support varies for each testing framework. Using the API directly might be the most flexible option but might come with a cost of maintaining multiple test suites for each type of test. Even though Selenium IDE has a "Save"feature that allows users to keep the tests in a table-based format for later import and execution, it is not designed to run your test passes nor is it designed to build all the automated tests you will need. 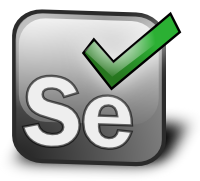 Selenium IDE is simply intended as a rapid prototyping tool. Install it and write your first test! If required, XPath is your best friend or your worth enemy. Although Jenkins or any other automation server should be able to run them nightly?